I thought it would be fun to create a challenge to make and post a holiday card every day for the next 31 days! The holidays are right around the corner and I thought that it would be fun to make a holiday card or two everyday! So if you want to join - please do and let me know where I can see your holiday cards!! 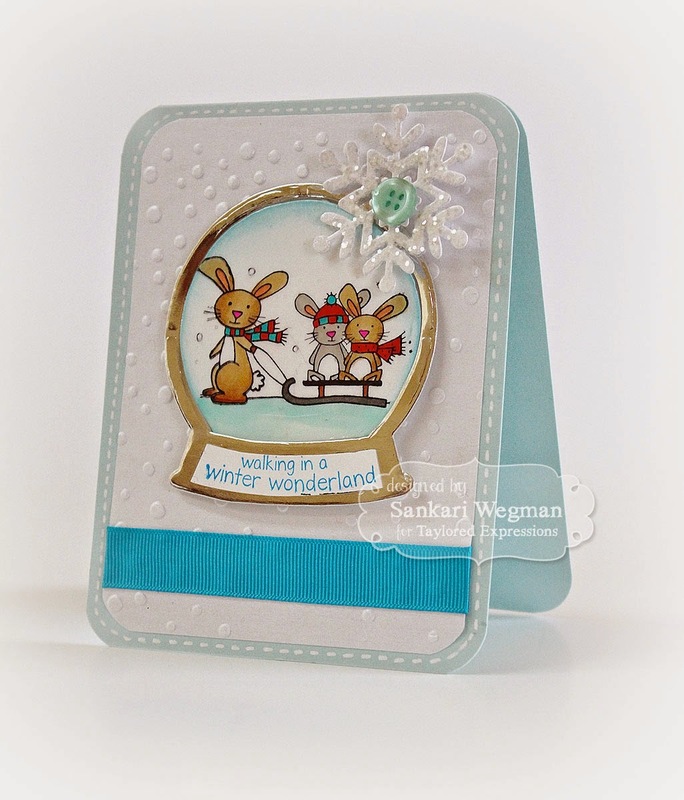 Here is one with a bunny pulling little baby bunnies in a sled --- doesn't that make your heart just go AWWWW!!! They are soooo cute!!! I can't wait to go sledding with my bunnies soon (and by bunnies I mean my kids - just in case you might think that I go sledding with real bunnies - which could be fun too :)! Here is another one using the image of this sweet little Fox - he is just adorable --- and yes, the song about what the fox says was playing in my mind while I was coloring this cutie! 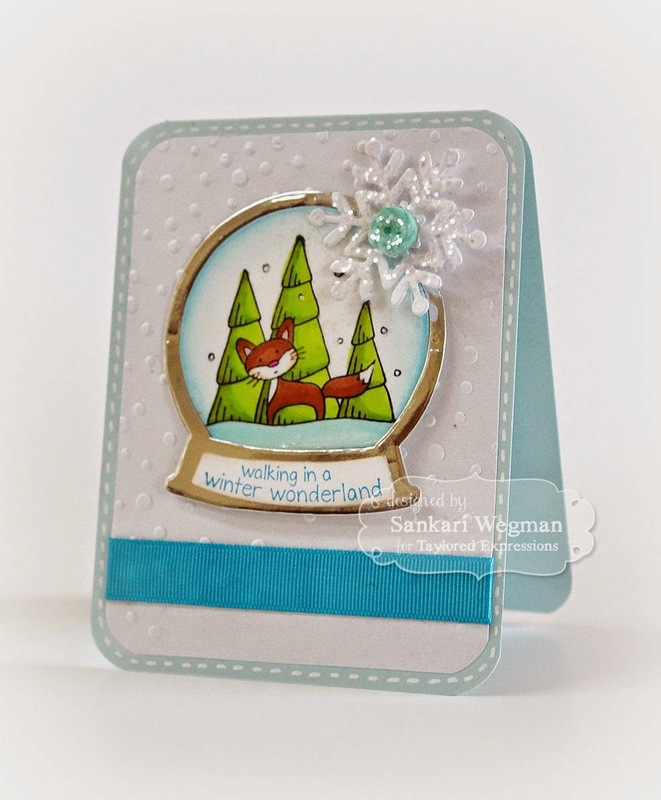 Each of the cards was embossed with the Snow Fall Embossing Folder and then adhered to a Salt Water Taffy cardstock from TE - this is probably one of my favorite new colors - it is SO soft and feels like it goes with everything!! LOVE all the new TE cardstock - they are heavy and stand up so well! You can check out all the colors here! 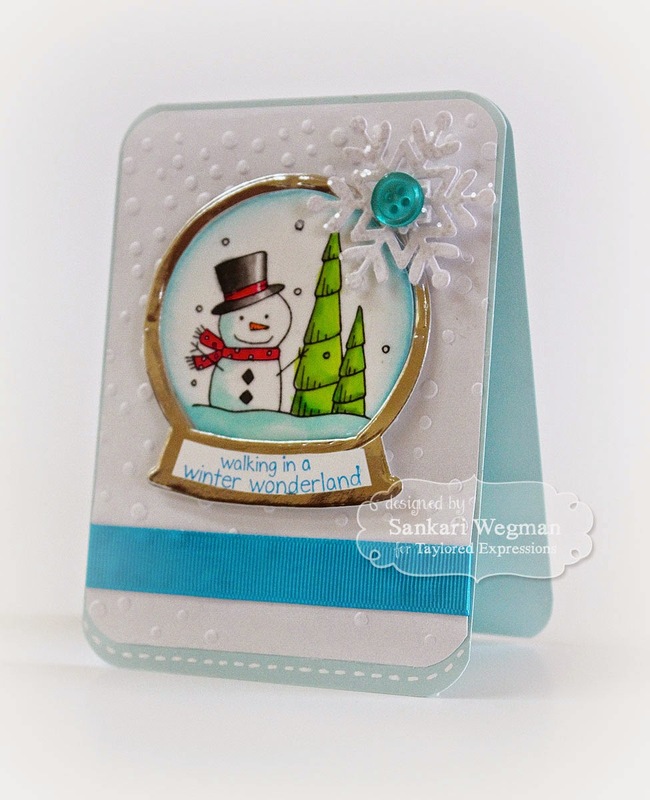 Here is another card using the sweet little snowman image - he is adorable! 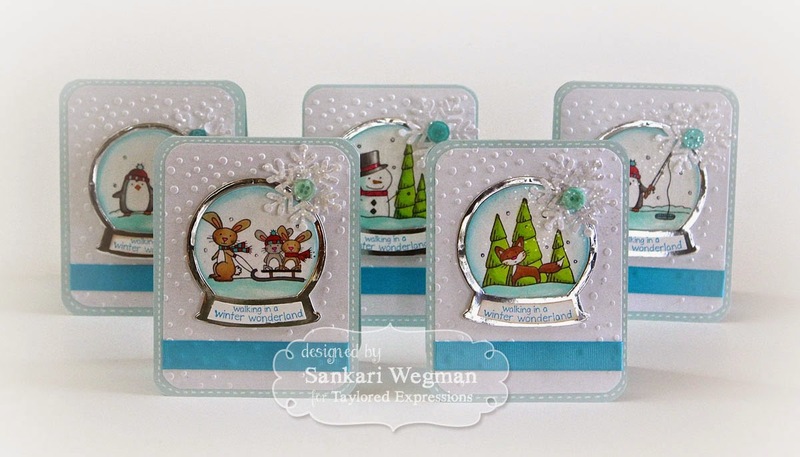 There are other so many other TE stamp sets like Baby, It's Cold Outside! 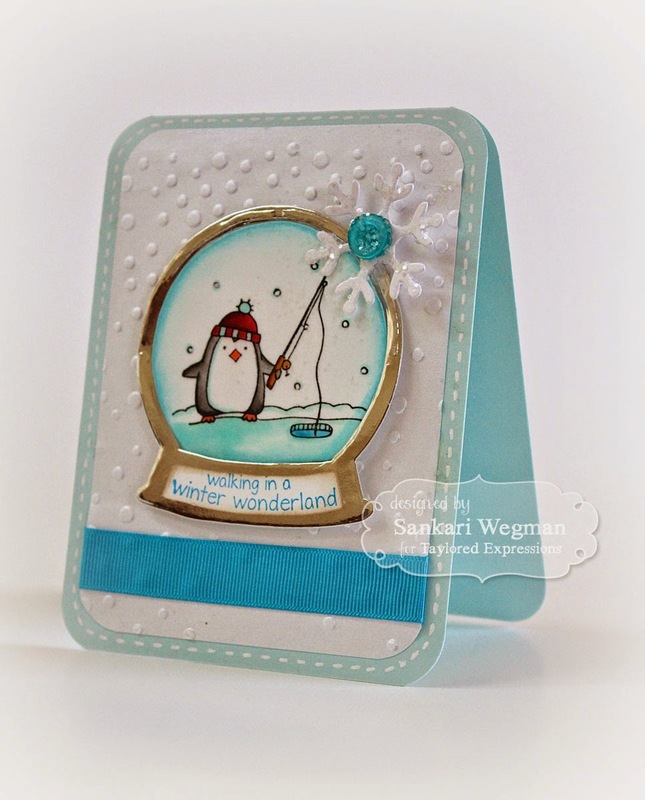 and Penguin Pals that also coordinate with the Snow Globe die - perfect for holiday card making! Thanks so much for joining me today! Please hop over tomorrow for more holiday cheer! LOVE these cards - just too sweet!! !